← The Unintended Beneficial Consequences of Obamacare’s Incompetence. Who is the biggest pirate now? These are the only federal crimes in the original Constitution. Treason is the violation of allegiance toward one’s country or sovereign. What is the sovereign in the United States, which has no king? The sovereign of course in a Republic is the LAW. And the Supreme Law of the United States is the Constitution. It is to the Constitution that all military officers must swear allegiance, and to which the President of the United States swears in his oath of office. To defy that oath is a high crime: treason. So who is defying the Constitution regularly in this country? A president who ignores the Constitution and makes law himself, outside of Congress. A Congress that ignores the Constitution and makes law that violates the Constitution. A Federal Reserve that violates the Constitution by even existing. 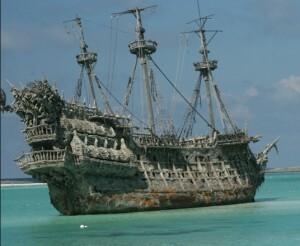 Piracy is typically an act of robbery or criminal violence usually but not always at sea. The US government and other government agencies now simply seize boats and cars and ships and buildings if the owners or passengers of such vessels or places happen to have with them certain plants that the government has decided they want to ban, or if they have ever undertaken commerce with people who the US government has decided are bad. Counterfeiting: The Federal Reserve counterfeits the US currency at the rate of $85Billion/month right now. Counterfeiting the currency has, since the creation of money, always been a capital offense—punished by the death penalty, because it is so destabilizing to an economy. The Secret Service was established to stop counterfeiting of currency, yet it ignores the largest counterfeiters in the history of the world. Why is that? Currently in the United States, the most egregious criminals work within the US Government, or through the US government, and laugh at us behind our backs. It is time for us to laugh back. Every one of us needs to laugh when the bankrupt US Government demands we do anything illegal, or when they demand we cooperate with their illegality. Laugh at the bankrupt fools… If only 10% of us did, truly did, then the moral and financial bankruptcy of the US Government would become rapidly evident to all and what was once America can reemerge. One place to direct our laughter is at the stupidity of our health care system. My novel “Assume the Physician” is designed to help us laugh at the foolishness. Against the Assault of Laughter, Nothing Can Stand—Mark Twain. This entry was posted in Constitution, Health Care and tagged Assume the Physician, Audit the Fed, classical liberal, Constitution, Counterfeiting, Eddie Marcus MD, Fed, Federal Reserve, government, health care, House of God, John F. Hunt, MD, Piracy, Sheep's Pen, Treason, US Constitution. Bookmark the permalink.